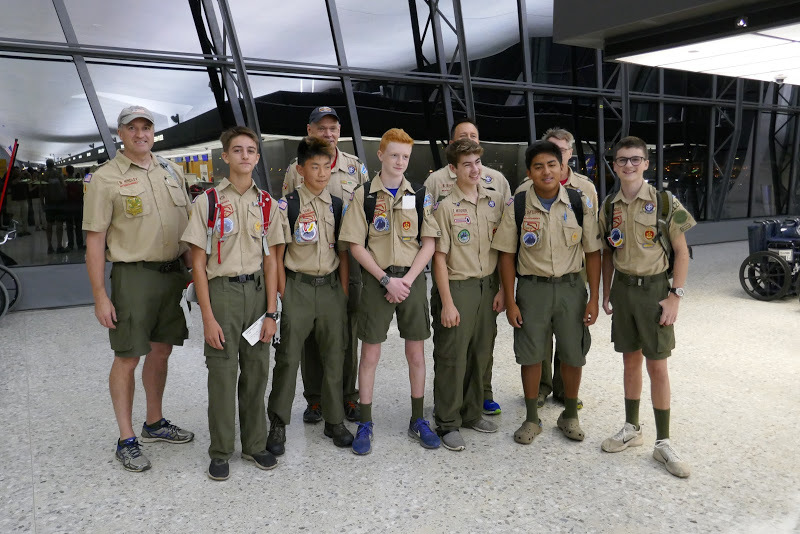 Oct 2018 Introduction to Backpacking | Troop 1128 - Vienna, VA | A Scout is trustworthy, loyal, helpful, friendly, courteous, kind, obedient, cheerful, thrifty, brave, clean, and reverent. Hurricane Florence put a damper on Troop 1128’s first backpacking trip of the 2018 season scheduled for September 15 – 16. Over 40 scouts and 8 adults were rearing to go, but the USDA Forest Service closed the George Washington National Forest that weekend to free up the park rangers to respond to other potential disaster needs, so despite the beautiful weather, we had to postpone to October. 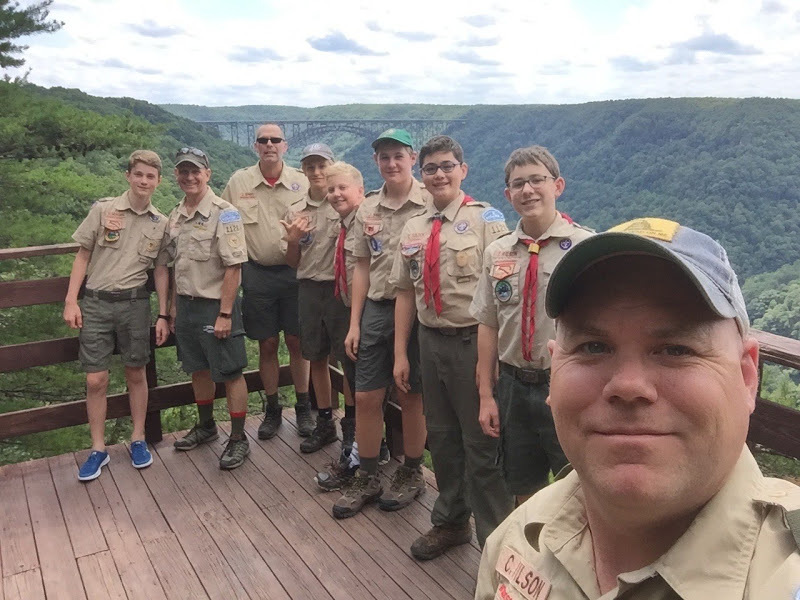 Instead of trotting into Dolly Sods for a 3-day hike over Columbus weekend, the PLC decided to scale back that event to just two days on October 6 & 7 in the George Washington National Forest so that the new scouts could attend their first backing trip and learn from the older scouts. 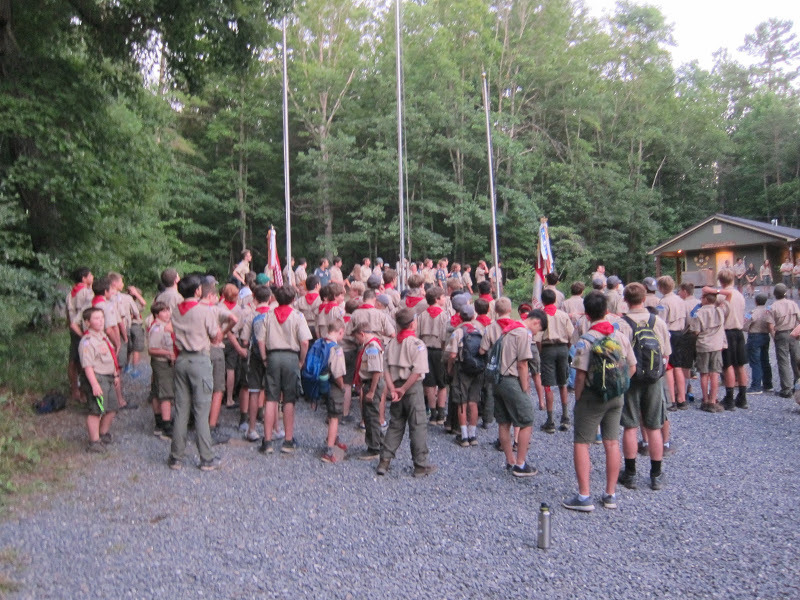 Three dozen Scouts and 8 adults took part in the Introduction to Backpacking Trip. The troop was a bit cut short in that several older scouts attended the three-day Order of the Arrow ordeal that same weekend. Nevertheless, the new scouts learned how to properly load their packs, but it was a challenge to adjust some of them to support the pack weight on their hips instead of their backs. We started out with four consolidated patrols; two headed in opposite directions on a nearly circular path from the vicinity of the Wolf Gap Recreation Area. This took us past many beautiful fall color sites, overhangs, relics from old Civilian Conservation Corps projects, and some horse riding campers as well. There was even a group of cowboys toting six shooters! The grounds were still soaked, but the weather was otherwise dry and near perfect with clear skies and 60F. Overnight it got a bit cooler as we camped out near a spring down into the upper 40s. The main attraction along the 12-mile hike was the Big Schloss which is a large rock formation at a height of 1,000 vertical feet. Named by German immigrants, Big Schloss provides a wonderful view of the surrounding valleys into both Virginia and West Virginia. The older scouts coached and mentored the younger scouts on how to pitch tents, prepare food in the field, and proper methods of field sanitation. With determination, all the new scouts pushed and pulled to make it to the destinations together. At the end, there was a well-deserved lunch in the parking lot and the trip home with many stories of conquering the mountain and camping out to tell friends and family.